New Delhi [India], Sep 25 (ANI): Paytm on Tuesday announced that over 5 million offline merchants out of its 9 million merchant-base now accept UPI-based payments. New Delhi [India], June 6 (ANI): In a major boost to the electric vehicle adoption in the country on World Environment Day on Tuesday, Goldstone-BYD, announced the launch as well as export of its full Electric Feeder Bus 'eBuzz K6', the first bus in this category to be manufactured in India. Chennai (Tamil Nadu) [India], Feb 24 (ANI): Reaffirming its commitment towards transforming the education landscape, the government of Tamil Nadu on Saturday announced signing an agreement with IT Major Microsoft to improve the integration of technology in teaching and learning in the state. 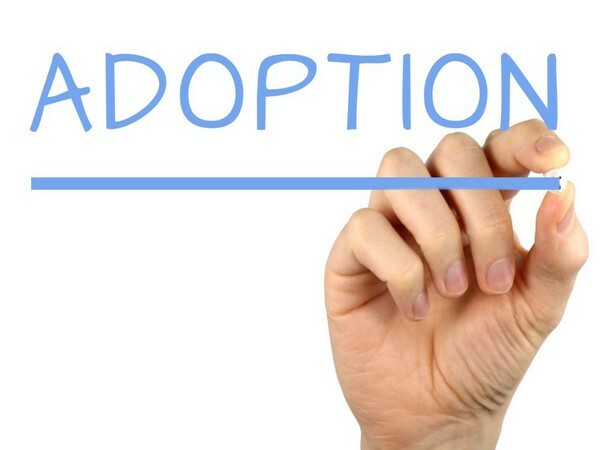 Addis Ababa [Ethiopia], Jan 12 (ANI): Ethiopia has banned the adoption of Ethiopian children by foreign families over concern that they face abuse. New Delhi [India], Dec 8 (ANI): Honeywell through its latest study released on Friday reported that industrial companies are not moving quickly to adopt cyber security measures to protect their data and operations, even as attacks have increased around the globe. Lucknow (Uttar Pradesh) [India], October 28 (ANI): Women and Child Development Minister Maneka Gandhi on Saturday said that the ministry is looking into the adoption process of Sherin Mathews, whose body was found in a culvert in suburban Dallas in Texas. New Delhi [India], Oct. 27 (ANI): External Affairs Minister (MEA) Sushma Swaraj on Friday requested Women and Child Development Minister, Maneka Gandhi, to probe the adoption process of three-year-old girl Sherin Mathews, whose body was found in a culvert in suburban Dallas in Texas.